Dust Deputy 10 Gal. Deluxe Cyclone Separator Kit | DamenCNC B.V.
How Does The Dust Deputy Work? Standard wet/dry vacuums rely entirely on their small cartridge filters to clean the incoming air before recirculating it into the room. 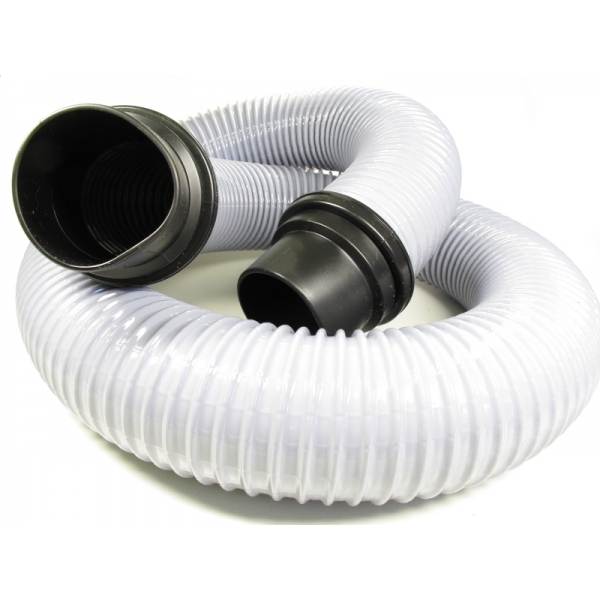 These filters can quickly become clogged with dust and debris, significantly reducing the vacuum's air suction performance. This is especially true for applications that create a large amount of fine dust such as wood sanding and drywall sanding. In order to restore your vacuum's airflow you'll need to take the time to open up your vacuum and clean the filter, but how do you know when do it? And did you know that each time you clean it out, whether by tapping it out or washing it, you permanently damage the fine fiber construction and reduce the lifespan and performance of the filter? Eventually you'll have to clean it out again, or worse, have to replace it entirely! 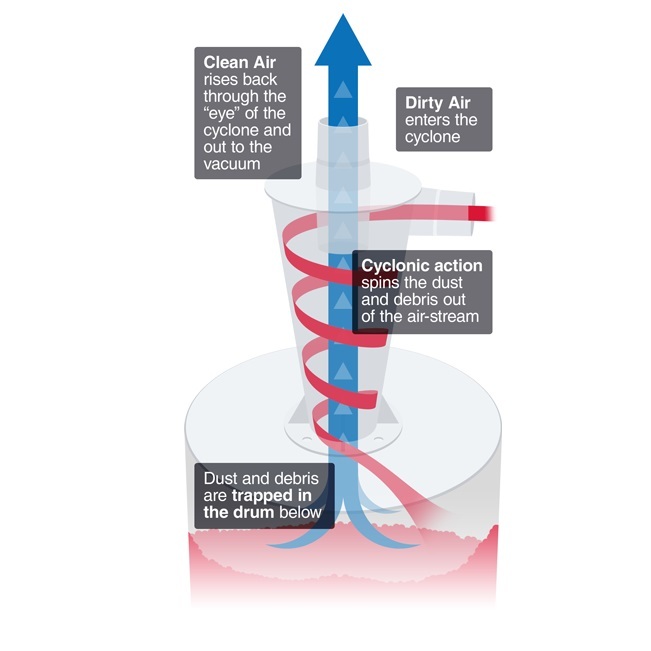 The Dust Deputy solves this problem by stopping dust before it ever reaches the vacuum. What is the Dust Deputy? The Dust Deputy® is an extremely efficient, US-made, cyclonic pre-separator for any make, size, or model wet/dry vacuum. 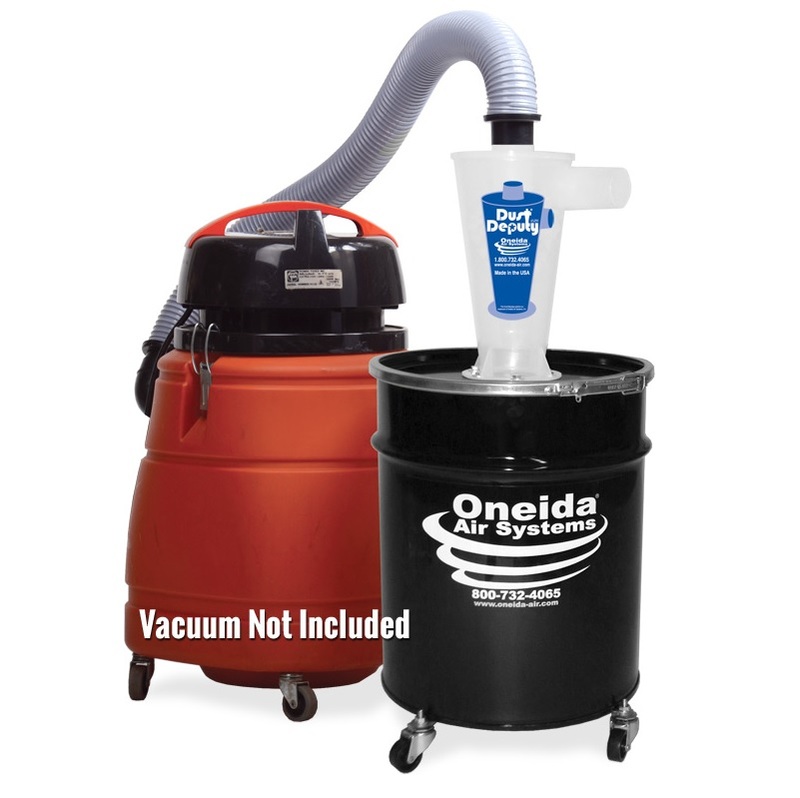 It's patented design uses centrifugal force to literally spin dust and debris out of the air-stream, trapping it in a container below; NOT in your vacuum! The Dust Deputy will separate out over 99.7% of nearly any type of dust and debris, with less than 1% making it into the vacuum – significantly extending the life of your vacuum and saving you countless time and money on expensive replacement filters and dust bags! Injection molded from a translucent anti-static resin, the cyclone's simple and efficient design can be adapted for use in any shop. 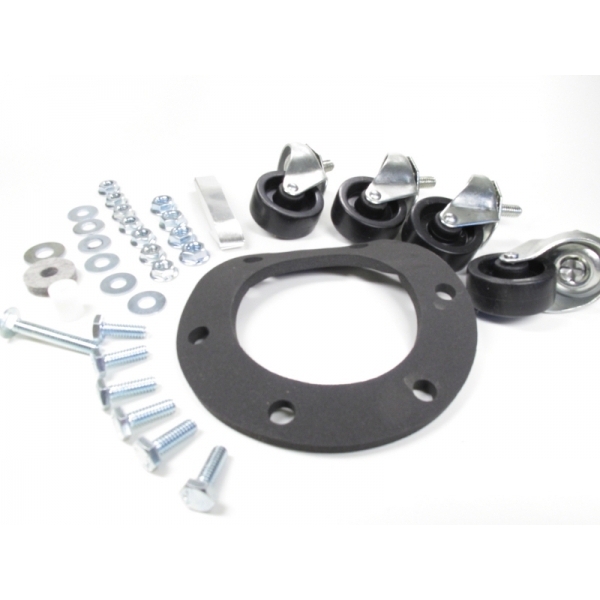 It also features tapered inlet and outlet (2" inner diameters), allowing for easy and secure fitting with a variety of different hose types and diameters. The Dust Deputy cyclone is Made in the USA under strict Lean 6 Sigma guidelines, ensuring a higher quality product, reduced costs, and improved customer satisfaction. 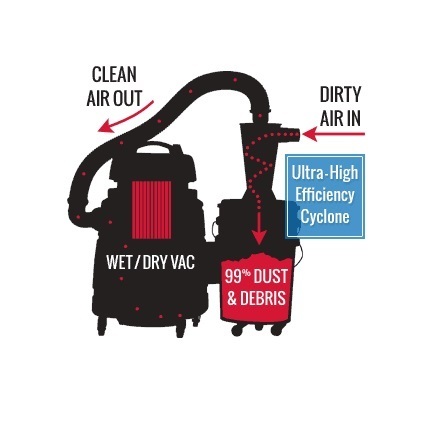 Increased Suction Power: Most wet/dry vacuums clog up rapidly but with over 99% of the waste getting trapped in the Dust Deputy's drum, the filters stay cleaner for longer and power drop-off is significantly less. Longer Lifespan: With the reduced amount of dust loading onto the filter and with less cleanings needed you'll get longer filter life overall. 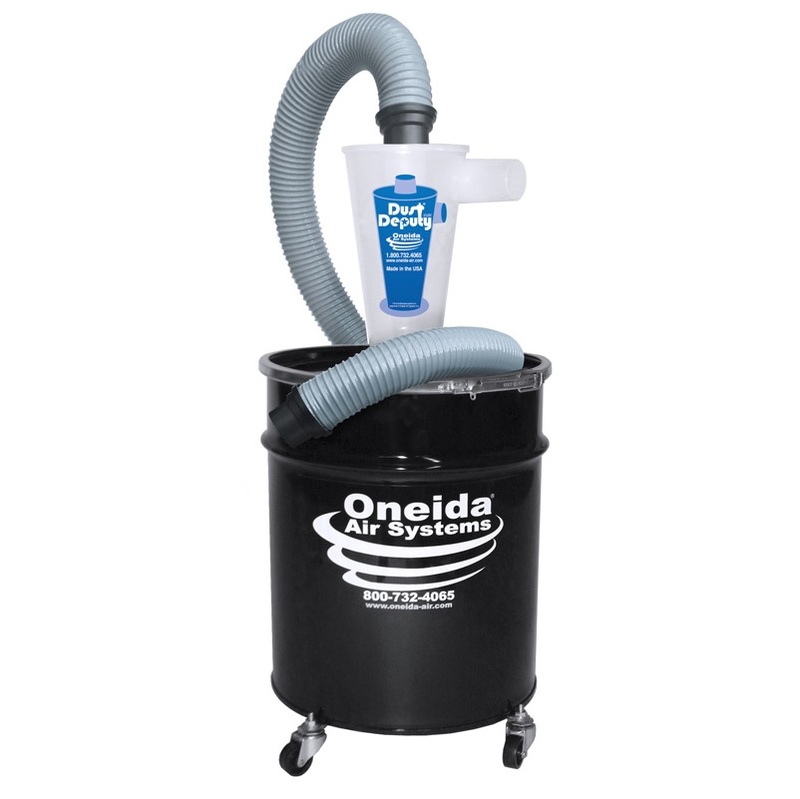 Easier Waste Disposal: Now you can easily empty your dust and debris from the bucket without ever having to open up your vacuum. What Can I Use The Dust Deputy For?